All offices want the most out of their employees and utilizing shared calendar apps is a great way to keep everyone on the same page. For delegating tasks, scheduling meetings, or setting deadlines, calendar apps can help you coordinate activities, while maximizing efficiency. Each app has its own unique features, and it’s important to know the differences when choosing one. Here are three to check out. 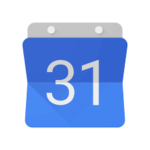 Due to its simplicity, Google Calendar is the choice of many small businesses. It is fairly straightforward and allows you to view your calendar by the day, four-day period, week, or month. You can conveniently set appointments and events in hour or half-hour increments by highlighting the day and hour and typing in the event. If you’re going to be out of the office, you can block out days and hours of unavailability and anytime anyone makes a change, it automatically syncs so everyone can see the update. 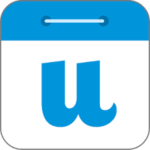 This app also reminds you of upcoming holidays and will notify you, via email, of future events. Another interesting feature is the search function, which allows you to search through your calendars along with all public calendars. This app is a good choice for those who are budget conscious and want an intuitive interface. This is an iPhone app that’s perfect for integrating with social media. UpTo allows you to create groups of people from your existing contacts or Facebook friends. You can then collaborate with different departments of your company. This way you can control who sees what and keep certain information confidential. With this app, you can keep calendar events private or share them via Facebook, Twitter, and email. One feature that stands out is the “heat map,” which assigns a color to each day according to how busy it is, which can help users avoid over-scheduling. Mashable reports that UpTo will be available for Android users in the future. If you’re looking for Mac-based shared calendar apps with plenty of features, Daylite is worth considering. Besides offering a calendar, it can also handle sales, notes, emails, and projects. It’s a bit more sophisticated than the previous two apps, which is the main reason it comes with a hefty price tag. You can monitor a single task or a group of projects from a central screen, as well as look at previous tasks. Daylite allows you to create “smart lists” that you can share with employees to conveniently keep them informed of recent happenings. It is compatible with iPhones and iPads, which is great if you travel frequently and need to conduct business on the road. Additional features include the ability to monitor your Google AdWords campaign, extensive customer relationship management capabilities, simple customer follow up, and management via iCloud. Coordinating a business can be complicated, and shared calendar apps can be a lifesaver. If you have difficulty staying organized, the right app should help everyone meet deadlines and keep your customers or clients happy. These are three of our favorites; what are yours?